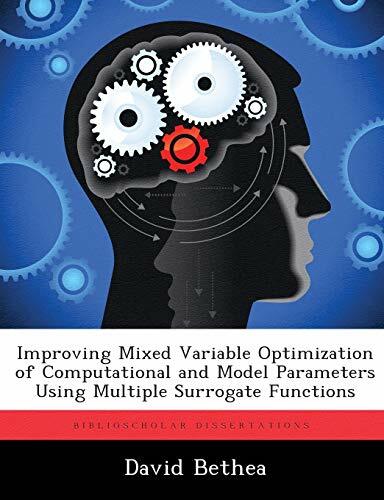 This research focuses on reducing computational time in parameter optimization by using multiple surrogates and subprocess CPU times without compromising the quality of the results. This is motivated by applications that have objective functions with expensive computational times at high delity solutions. Applying, matching, and tuning optimization techniques at an algorithm level can reduce the time spent on unpro table computations for parameter optimization. The objective is to recover known parameters of a -ow property reference image by comparing to a template image that comes from a computational -uid dynamics simulation, followed by a numerical image registration and comparison process. Mixed variable pattern search and mesh adaptive direct search methods were applied using surrogate functions in the search step to produce solutions within a tolerance level of experimental observations. The surrogate functions are based on previous function values and computational times of those values. The use of multiple surrogates at each search step provides parameter selections that lead to improved solutions of an objective function evaluation with less computational time. Previously computed values for the objective function and computation time were used to compute a time cut-o parameter that allows termination during an objective function evaluation if the computational time exceeded a threshold or a divergent template image was created. This approach was tested using DACE and radial basis function surrogates within the NOMADm MATLABr software. The numerical results are presented.